At PAX East 2019, Gearbox Software officially announced Borderlands 3. 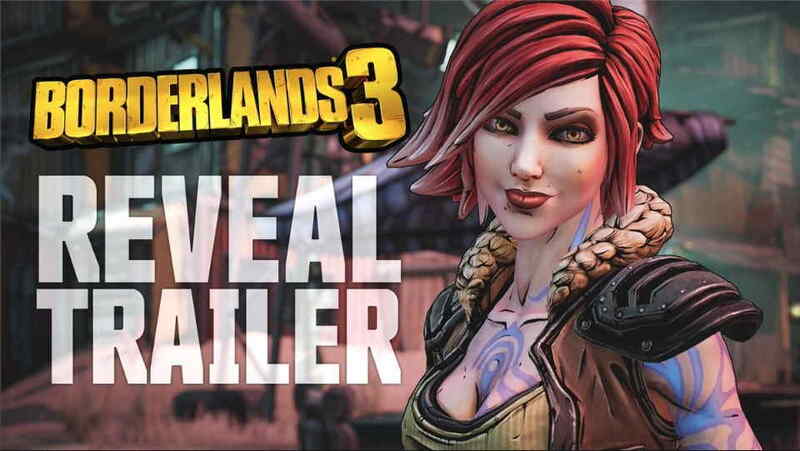 The dev made the announcement releasing the official Borderlands 3 developer trailer. The Borderlands 3 is the sequel to the highly popular Borderlands 2. The new reveal trailer shows off the new characters from previous games and some new locations added to the game. The trailer also reveals a lot of enemies to take down with over a billion guns in the game. The reveal trailer, however, didn’t reveal an exact release date for the game. However, the Borderlands 3 official twitter handle has confirmed more details to be available on April 3rd. On the same date, players will also be able to get there hands on the Borderlands: The Handsome Collection bundle that’s getting a 4K update on April 3rd and a card game called Borderlands: Tiny Tina’s Robot Tea Party that cost $20. There would also be a Borderlands: Game of the Year edition arrives the same day on PC, PS4 and Xbox One.